Prof. Angelika Timm received a Ph. 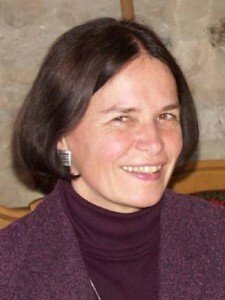 D. in the history of Palestine from Humboldt University, Berlin where she was the head of the Seminar for Israel Studies until 1998. She had a research position at the Free University in Berlin (1999 to 2002) and taught as a guest professor at the Department of Political Studies, Bar-Ilan University, Israel (2002-2007). She was the director of the Rosa Luxemburg Foundation’s Israel Office 2008 – 2015. 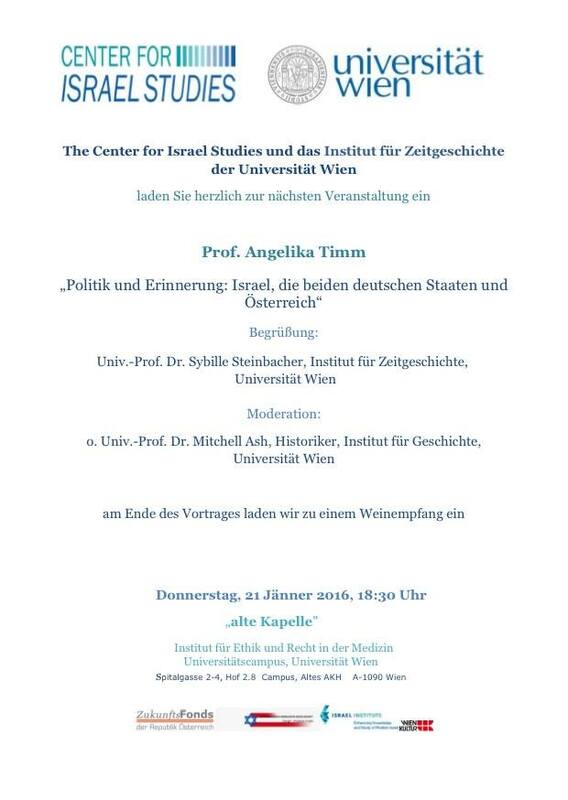 Angelika Timm’s research fields include history and politics of Israel, including Israeli civil society, and German-Israeli relations. 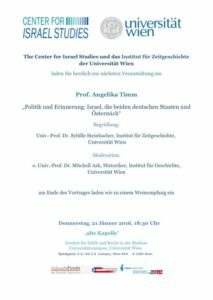 Amongst her central publications are Jewish Claims against East Germany: Moral Obligations and Pragmatic Policy, Budapest: Central European University Press, 1997; Hammer, Zirkel, Davidstern – Das gestörte Verhältnis der DDR zu Zionismus und Staat Israel, Bonn: Bouvier, 1997; Israel – Geschichte des Staates seit seiner Gründung, Bonn: Bouvier, 1998; Israel – Gesellschaft im Wandel, Opladen: Leske + Budrich, 2003.